Since releasing the first Radeon HD 5000 series graphics card some four months ago, AMD has continued its assault on Nvidia with an army of new models. Following the Radeon HD 5870 came the 5850, 5770, 5750, 5970 and most recently the 5670, while today yet another new product is set to make its first appearance. 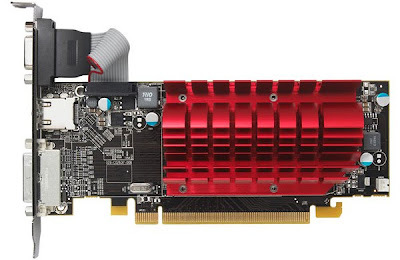 The new Radeon HD 5450, code-named Cedar Pro, will be the most affordable graphics card belonging to the HD 5000 series. This is also the first on AMD’s latest wave of graphics products to do away with GDDR5 memory, replacing it with older GDDR3. Naturally, the Radeon HD 5450 is not designed exclusively for 3D gaming and certain versions will support advanced features such as Eyefinity. The Radeon HD 5450 is stepping in to replace the Radeon HD 4350 graphics card which currently retails for as little as $35 - $40 (512MB) and $45 - $50 (1GB). AMD expects to ask between $50 - 60 for the new HD 5450, but we believe those prices should settle down a little closer to the levels of the older HD 4350 when old inventory is depleted.